By applying our method to Stonehenge we have found the real age and the real use of this mysterious megalithic site. Stonehenge is not just a few thousand years old, no, it is more than 250,000 years old, built by early Homo sapiens that already wandered around the planet for many millenniums. Homo sapiens appeared to have been very active during their presence, and was not like the academia still believe, a retarded ape man. On the contrary, they were highly skilled and advanced human beings building all sorts of instruments to study their environment. Fig 1: Almost everyone believes that Stonehenge in England is a sort of calendar. Is this true and if so, how did it work? Most people know of Stonehenge – that circular arrangement of rocks in England, a mysterious structure without a seemingly clear purpose. Every year, people visit Stonehenge to witness the sunrise at Summer or Winter solstice. Why are they doing this? Because they probably believe that this was the main purpose of the monument – to verify and celebrate the longest and shortest days of the year. When the Sun shines through a circular array of many stones, it will always produce many effects that can easily be mistaken for legitimate assessments. People are easily misled by their own preconceived ideas and thus they are unable to see alternatives – even the Truth. Another fact is that, when one knows when the longest day occurs, one will look for patterns that will gratify one’s own beliefs. Most people are influenced by such wishful thinking. We are taught that Stonehenge’s building process took several hundred years. It is also said that it was constructed during the so-called “Neolithic” period – some 5,000 years ago. Several stones are so tall that everyone wonders how they were transported from far away because it is believed that the builders had no wheels. It is also said that there were no labor forces large enough for such an undertaking because the limited population had to hunt and scavenge almost continuously and to prepare food for their survival. Why would they build something as outrageous as Stonehenge when insufficient human resources were available? It is also said that the bluestones, which are located inside the horseshoe shape, have been quarried in Wales, some 160 miles (240 km) away. The purpose of the monument must have been something magnificent and important that the ancients have expended so much effort into building it. But what was its purpose? That question has finally been answered (by us) with a completely new mathematical theory. Stonehenge does indeed have exceptional sound qualities. Sounds produced in the center, or at the altar, result in such amazing and complicated interference patterns that at some points the sound dies out and at some points, the sound is amplified. The primary purpose of Stonehenge, however, seems to be that of an ancient calendar. In several logical steps we will explain and demonstrate how we think it was used. First, we will explain more about Earth’s true history: Our research shows that, over the last 340,000 years, the Earth experienced four latitudinal crustal deformations. Science insists to call these events “glaciation cycles”. Our mathematical Holistic Orientation Based Dating Method proves with 100% certainty that these four crustal displacements have indeed taken place. Our analytical method uses the orientation of ancient structures around the world to prove how ancient structures and crustal displacements are intimately associated. For most people, our theory is not difficult to grasp. It reveals without a doubt the indisputable proof of a logical connection between ancient history and recurring physical Earth events. Fig 2: This animation shows how the crust has deformed over the last 340,000 years. A geographical pole (not magnetic!) is the ONLY transcendent cosmic feature wherever you are on the Earth. There are solar and stellar methods of finding Cardinal points and the ancients were adept at this task. Our data indicate with a very high degree of certainty that former poles, namely former poles II, III, IV and V existed on Greenland and South of Greenland during the most recent ice ages, while the geo pole on Antarctica hardly changed its position. The crust was unevenly deformed on a massive scale. Our method proves that periodically the Earth’s crust displaces itself moving the geo pole latitudinally. 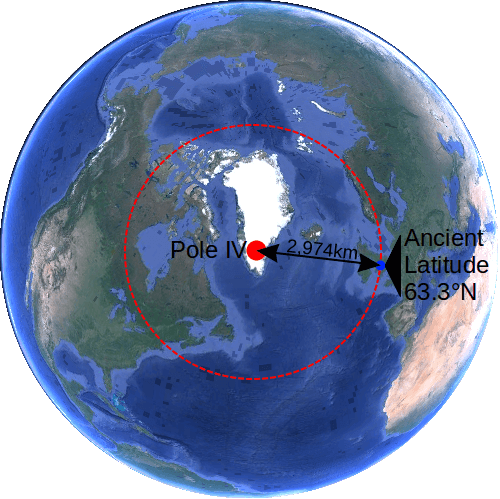 The geographic pole moved 38 degrees of latitude over the last 340,000 years (from pole V to the present pole I). Ancient structure orientations eloquently prove this and geologists are not even aware of these displacements. They interpret them as “glaciation cycles”. The red dots become progressively larger because of the growing uncertainties of defining a pole within a certain diameter, i.e. the crust has invariably been seriously deformed due to the crustal displacements. | © Mario Buildreps 2015-2018. 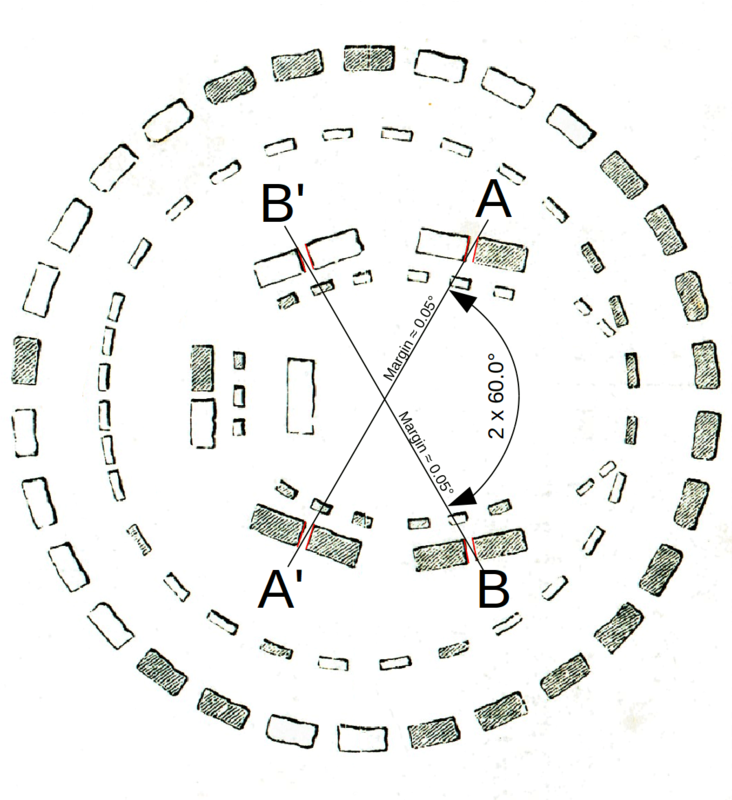 Fig 3: Stonehenge has only one symmetry axis. This axis is of great importance. Symmetry is the only way to make the “instrument” usable. | © Mario Buildreps 2015-2018. 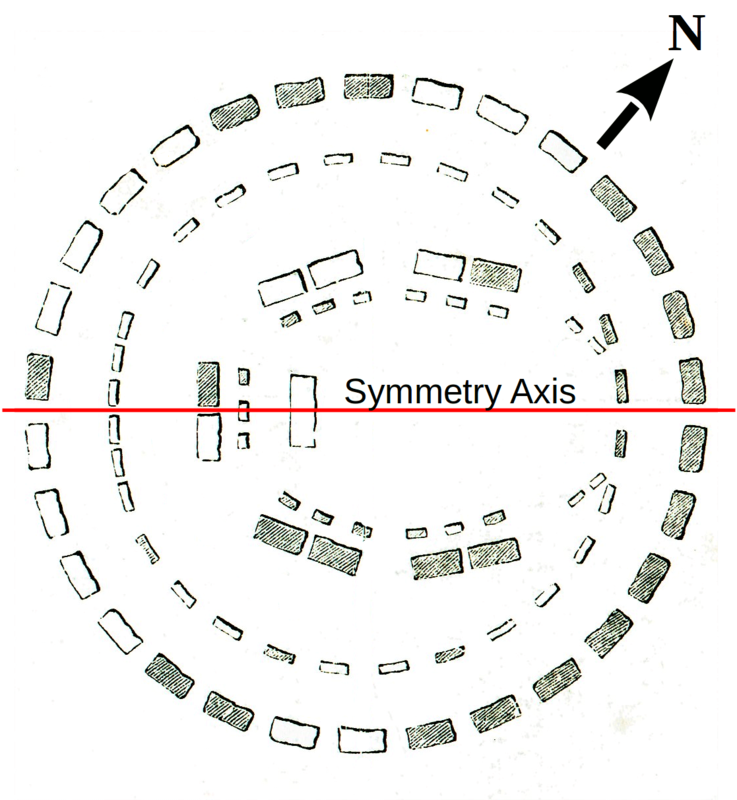 Stonehenge is only symmetrical along one specific axis (Fig 3) and symmetry is of importance when you want to use any kind of building as an instrument. Reason: If symmetry is not introduced into such an instrument, there would be an extra variable in the readings of the measurements. Extra variables make the measurements and their interpretations suddenly much more difficult, if not impossible, to solve. Ask any graduate engineer or scientist – everyone will agree. If Stonehenge were a calendar of some kind, then it would have to be symmetrical with respect to the Cardinals, and that is either North-South or East-West. The direction in which it is symmetrical would decide its ultimate use. Our problem: It is not possible to match the symmetry axis to our current geographic pole or to one of the current cardinals East-West or North-South. What happens when we examine the symmetry axis to one of the other ancient geographic poles? The symmetry axis of Stonehenge is rotated 50° counter-clockwise with respect to our current geographical North pole. The angle of the Summer solstice of the specific latitude where Stonehenge is situated is 39.4°. That is the angle between true East and where the Sun rises at the Summer or Winter solstice. Because the symmetry axis of Stonehenge is almost aligned towards the Summer solstice, the puzzle was apparently solved a long time ago. But is that true? Because it is not known exactly how Stonehenge was used, it shows how mistakes might develop in interpreting the monument’s alignment. 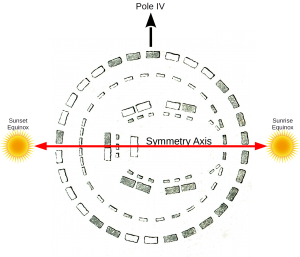 Fig 4: Stonehenge’s symmetry axis was originally aligned to the Equinox and was constructed between 240,000 and 270,000 years ago, with a certainty of 80%. | © Mario Buildreps 2015-2018. The only missing piece of the puzzle seemed to be the discrepancy between 39.4 and 40 degrees because this would result in errors too big to accurately measure the solstices. To determine a solstice with a large stone arrangement, accurately to the day, requires an incredibly precise alignment. A deviation of only 0.6° results in an uncertainty of 12 days. That is because the closer one gets to a solstice, the slower the Sun shifts. The Sun shifts fastest at the Equinox. The math behind this is quite complicated and therefore we will refrain from delving into this matter any further. In the case of Stonehenge, to accurately measure the summer solstice within ±3 days requires an alignments accuracy of only 0.1° of the monument towards the solstice event. To measure it accurately within a tolerance of one day requires an accuracy of less than 0.05°. 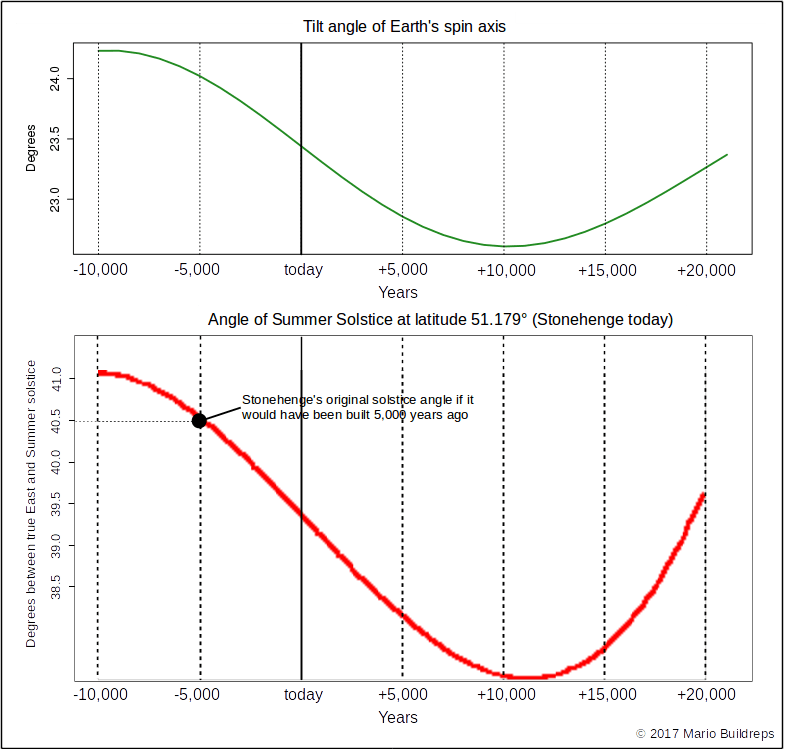 Fig 5: The relation between Stonehenge’s solstice angle and the tilt of Earth’s spin axis. | © Mario Buildreps 2015-2018. Some archaeologists believe that they have found the reason for this discrepancy between 39.4 and 40. If Stonehenge was built some 5,000 years ago, the tilt angle of the Earth was at a slightly higher angle (24.0°) than it is today, which resulted in another solstice angle, by which the ‘experts’ believed to have closed the gap. But is that so? The facts are pointing to the contrary. The error remains but now it is in the other direction. Are archaeologist bad mathematicians? It appears so. A tilt angle of 24.0° resulted in a Summer solstice angle of 40.5°. That would make the instrument, at the time it was built, as inaccurate as it is today. It would still be 0.5° off but in the other direction. Quite a large deviation indeed, resulting in an uncertainty of 10 days in determining the solstice. If Stonehenge were to be a few thousand years older than is estimated today, the error would grow so large that the solstice angle of the monument would be more than 1° off. One degree off would mean an error of about three weeks. Not a single fact exists supporting the idea that the original symmetry axis of Stonehenge was indeed oriented toward the Summer solstice. That Stonehenge’s orientation angle comes close to the Summer solstice seems to be most likely a play of Mother Nature. 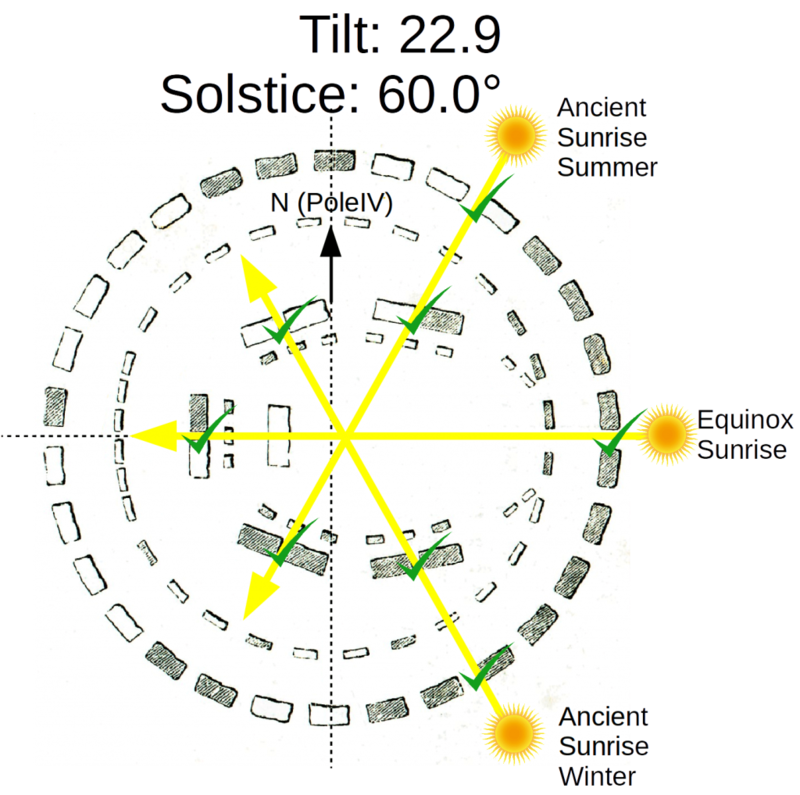 Fig 6: The angles of Stonehenge’s Summer and Winter solstices do NOT correlate with the orientation of the monument. At the time it was built, that deviation was similar to what it is today but on the opposite side. This deviation shows that it is one the greatest misunderstandings of this monument. The current tilt of the Earth is 23.44 degrees. | © Mario Buildreps 2015-2018. Therefore, we can easily hypothesize that the alleged alignment of the symmetry axis towards the Summer solstice has been, and still is, one of the biggest misunderstandings of the exploration of this monument. We state that Stonehenge’s orientation correlates with one of the former proven geographic poles, namely pole IV. There is only about a 20% of a chance for this occurrence to be coincidental. We can posit the claim, with 80% certainty, that Stonehenge’s symmetry axis was aligned to the Equinox, true East-West. But that likelihood is still outranked by its current, almost matching orientation to the Summer solstice. Since that orientation does not seem to make the monument work, we have investigated another option, namely that Stonehenge had at one time been oriented to the ancient pole IV – and that situates this monument between an astoundingly ancient timeframe of between 240,000 and 270,000 years BP. The purpose of Stonehenge has always been a mystery. The strange orientation of the monument with respect to the cardinals makes no sense because the monument contains so many redundant stones. The scale of this megalithic structure leaves not a single doubt of its importance. But for what? 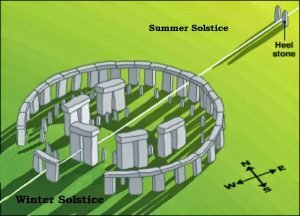 Fig 7: Was the purpose of Stonehenge to measure the Summer solstice? What are the other four tall stones doing on both sides? They seem to be of no use. But is that true? Was Stonehenge a calendar? Or a temple? But how did it work? Is the contemporary alignment of the symmetry axis towards the Summer solstice a play of Mother Nature? We have already explained some aspects of Stonehenge’s alleged solstice orientation. We also affirmed that the monument was oriented to another geographical pole, namely pole IV. This pole is between 240,000 and 270,000 years old. The symmetry axis of Stonehenge was exactly perpendicular to the position of pole IV. The chances for this to happen accidentally is 20%. So, here is obviously a possibility that our claim is entirely wrong. But what happens when we continue to build on this outrageous claim? Will it reveal the Stonehenge edifice as a calendar? 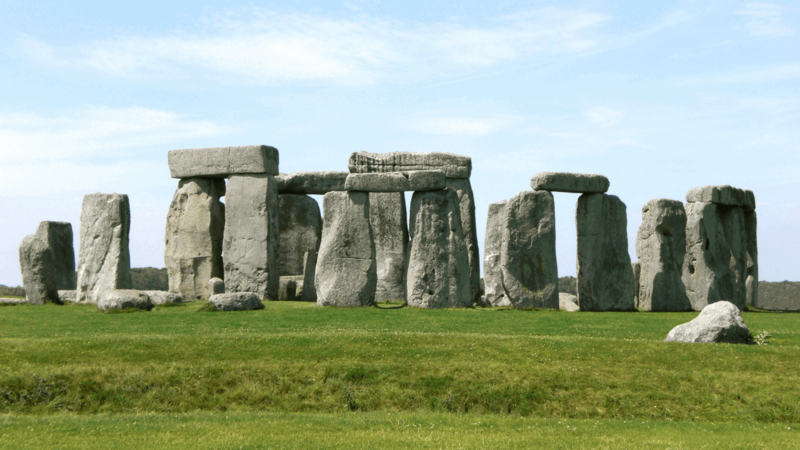 Step 4 – Was Stonehenge a Very Ancient Calendar? If it is true that Stonehenge was built at the time when the geographic North pole was at the location marked as pole IV, it would mean that it was situated at another latitude: 63.3°N instead of 51.2°N today. the tilt angle of the Earth varied between 240,000 and 270,000 years ago, which also influenced the solstices. Fig 8: Is it true that Stonehenge was constructed between 240,000 and 270,000 years ago? Can we verify this? How? | © Mario Buildreps 2015-2018. Pole IV, noted with the red dot in Fig. 8, was stable at the position 64.0°N, 47.1°W between 240,000 and 270,000 years ago. It is possible that this article is somewhat difficult to understand for many of our readers, but we must thoroughly explain this if we want to fully expose the truth of our ancient history. That is a very difficult quest, and ultimately it is a mathematical quest. Concerning the question of whether or not Stonehenge was an ancient calendar: The answer is Yes. It was a very sophisticated calendar. But we must overcome some serious considerations first. The odds for Stonehenge to correlate purposely with one of the former geographical poles is 80%. That may not be spectacularly high, but it is a good enough basis to continue investigating. But, we admit, the almost-matching orientation of Stonehenge towards the current Summer solstice is much higher, about 99.3%. That is why it is understandable if we are challenged when we affirm the accuracy of our idea that Stonehenge was originally oriented to another cardinal system and is therefore amazingly older than believed by Academia. 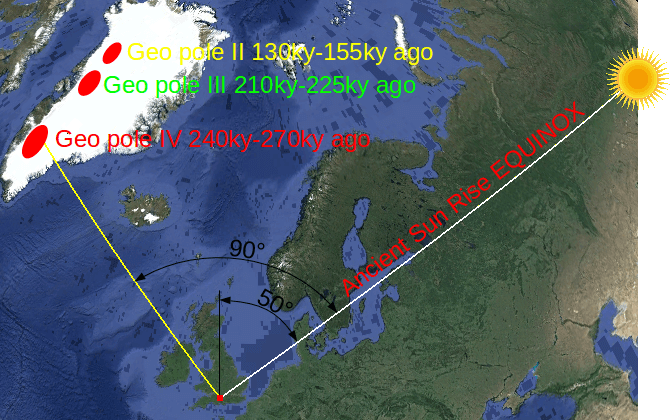 Fig 9: If Stonehenge could be oriented towards the ancient Pole IV location, its symmetry axis would consequentially be oriented towards an ancient Equinox. | © Mario Buildreps 2015-2018. This, however, does not change the fact that up to now no one has been able to explain how the monument worked and that Stonehenge has many redundant stones for only one solstice, the Summer solstice. What if we argue that this almost-matching orientation towards the Summer solstice might only be a play of Mother Nature – a coincidence? Because Stonehenge obviously does not work. Have you ever seen one idea about Stonehenge that really made sense? So far, nobody has adequately explained why the ancient builders made such a herculean effort for so many “obsolete” stones, done at a time when a reliable workforce was a very valuable asset. Would that not contradict all logic? Below (Fig. 10) you find the formula to calculate the solstice angles for any location on Earth during any tilt angle of the spin axis. You will see how important it is to get a grasp of this kind of mathematics, which is mainly the domain of experts. Fig 10: The solstice angle depends on the latitude AND the tilt of the spin axis of the Earth. | © Mario Buildreps 2015-2018. Since we can only stipulate, at this stage, that Stonehenge’s orientation corresponded to pole IV, we can compile the corresponding values into the table shown below. Because pole IV was stable between 240,000 and 270,000 years ago, the tilt of the Earth was also much different, and so were the resulting solstice angles. Fig 11: This graph shows between which angles Earth’s spin axis varied (between 22.6 and 24.4) during the period when pole IV was at its stable position. | © Mario Buildreps 2015-2018. By using the solstice formula (Fig. 10), we can calculate the values of the solstices for both extreme tilt angles. Fig. 12: Both extremes do NOT fit on Stonehenge’s arrangement for Pole IV. We can delete these from our list and narrow the search for intermediate values. There appears to be only one angle which fits perfectly. | © Mario Buildreps 2015-2018. Fig. 13: The only angle that fits Stonehenge’s arrangement is a solstice angle of 60.0°. Only at this angle did the sun rays shine perfectly through the two opposing stone gaps. The way the stones are arranged, the slit is so narrow that the ancients could accurately measure the solstice to a single day. | © Mario Buildreps 2015-2018. Fig. 14: The most probable moment in time for Stonehenge to have been built is 265,000 years ago. This age may differ slightly from what we previously published. Our previous estimation of the margin of error (±1,200 years) was slightly too narrow. The 265,000 age for Stonehenge is currently the best estimate we can determine. | © Mario Buildreps 2015-2018. As you can see in the graph above, there are two moments during a stable pole IV (240ky-270ky ago). One is at -240 and the other at -265. It is highly unlikely that Stonehenge would be built at the end of a 30,000-year period. It is, therefore, more likely that it was built 265,000 years ago. The crust, after having been on a rough ride for 65,000 years, stabilized at the position of Pole IV, 270,000 years ago. It took another 5,000 years before the monument was built during this period of relative tranquility. Fig 15: The margins for the Sun to shine through both slits A-A’ and B-B’ are amazingly small, just 0.05 degrees. The odds for this set of keys to be coincidental is exceedingly small. We can be sure we have found the ultimate key to Stonehenge – with a mathematical confirmation of an amazing age of 265,000 years. There is a 20% chance for Stonehenge’s symmetry axis to correlate unintendedly with one of the poles I to V, hence, there is an 80% chance it was done on purpose. But there is only one pole with which Stonehenge clearly correlates, and that is pole IV. That is why we have researched the entire constellation based on pole IV. What we found was beyond anything we expected. It is certainly legitimate to say that the reorientation of the symmetry axis to another very ancient pole leads to a more credible explanation as to how the monument once worked. The whole daring idea that Stonehenge could successfully be re-oriented to the ancient Pole IV, and is therefore very old, suddenly does not sound so outrageous anymore. But how large are the odds that the claim might be true? Fig. 16: This animation shows how narrow the slit is when the Sun is at a solstice angle of 60°. It is the ONLY viewpoint where the monument works accurately enough to measure the solstice, with an astounding accuracy of a SINGLE day. The odds for this to have happened haphazardly are insignificant. The margins for the Sun to shine through the slits of A-A’ and B-B’ are incredibly narrow – only 0.05° . This 0.05° is the necessary margin to measure a solstice, down to one day. It is absolutely amazing to realize that this narrow A-A’ and B-B’ fit is exclusively related to Pole IV. The chances that this is mere coincidence are practically nonexistent: 1 to 6.7 million or 0.0000149%. The probability that it was done deliberately: 99.999985% . We can now confirm that Stonehenge is indeed roughly 265,000 years old with a probability of 99.999985%. This surpasses all other previous estimations and explanations regarding the true age and purpose of this structure. It is challenging even for us to realize that Stonehenge could be so amazingly old. One must overcome and transcend one’s own persistent conditioning and beliefs. Most people would undoubtedly prefer to remain in denial. It is also crucial to understand that Stonehenge does NOT work any longer as was once intended. It remains merely as a tourist attraction. Monuments such as Stonehenge appear to last much longer than we commonly suppose. The sheer unbelievable age also raises additional questions such as: Why is it not buried in thick layers of soil? Finding new answers apparently also generates new questions. In mathematics concerning Stonehenge, the angle of 60° (and 30°) has special properties. For example, the cosine of 60° equals ½ and the sinus of 60° equals ½√3. This solstice angle of 60° occurred only once in the history of this specific location. The formation of the Greenland ice sheet started when the geographic pole was at position IV, at the Southern tip of Greenland. It must have been quite cold when Stonehenge was built, perhaps comparable to the middle of Scandinavia – mild Summers, cold Winters – but then the ice sheet was not very thick. © 2017-2019 by Mario Buildreps et al. : There could be doubt regarding the angle of 0.05°, and that is fully understandable, considering it is indeed amazingly narrow. When looked at from the middle of A’ towards A, or from B’ towards B, or vice versa (sunset), one can distinguish subtleties within a range of 0.05°. : Our probability calculations are based on: (1) matching symmetry with Pole IV; (2) matching arrangement of 5 trilithons + 1 heel stone with solstice angles and the equinox; (3) the matching distance from Stonehenge to the center of Pole IV within a range of 38.8 degrees; (4) the narrow slit of the 4 solstice trilithons to create a “one day” accurately within the configuration (1) to (3); (5) the only configuration to get the horseshoe to work for both solstices and the equinox. The odds are 100% that something like this was done by design and is therefore true. Dear Mario, first of all, let me express my admiration for your work and your loyalty to the principles of science. I am deeply interested in your conclusions and waiting for your book to be published. I have noticed that you quoted “Los Cancajos Pyramid” located in the Canary Island of La Palma, as oriented towards the Pole V meaning a very old age that may be as large as 350.000 years ago. However, this pyramid is located on very young soil (Volcanic Basaltic flow) that may be as young as late Pleistocene. (something between 20KY and 12KY old. The material itself that was used to build the pyramid is also raw young stone of such volcanic material without any concrete or chemical/mechanical alteration of the stones but just piled up forming dry walls in the perimeter drawing each side of the building. In the meantime, there are bigger and more notorious pyramids in the close canary island of Tenerife (Pyramid of Guimar) that seems to be oriented into a different direction. Maybe these buildings are not really helpful to prove your theory. Thank you for your comment, and your contribution, Julio. The method has an aspect that might be hard to understand for many people. For example “Los Cancajos Pyramid” that you mention. Because they are pointing to Pole V it does not mean they are by definition as old as the pole. That requires more investigation. The method uses the data of almost 1000 ancient structures spread around the world which leads to a very specific clustering, the Pole I to V. But when we pick out one structure it does not necessarily mean they are old as the pole. That requires a much deeper investigation as we did with Stonehenge. There is about 20% for Los Cancajos Pyramid to be coincidentally oriented to one of the Pole I to V. So there is still a chance that the relationship is coincidental and that indeed like you mention the pyramid is pretty young. Dear Mario, thanks for your answer. The study of the pyramids found in the Macaronesia region (Canary, Madeira, Azores, Cape Verde) may be of special importance because we have been told that these islands where only populated very recently. Mainstream science believes that Canary islands where populated with people of north african origin (Mainly bereber) by the fenicians some 2000 years ago, while the islands of Azores where not populated until the discovery by the portughese much later. There are also such dry stone pyramids in Azores and the rest of the Canary islands and it would be very interesting to learn why these works where build according to a certain orientation pattern. Even if these where build much later, why did they chose certain orientation that match other buildings around the world?. I wait for the publication of your book with great interest. Thank you for explaining the movement of the moon and why the moon shines down into the well at Santa Cristina in Sardinia. Great. Such wonderful work for any one who has an open mind. Thank you for your kind comment, Lexa. It indeed is an eye opening journey for many people.